Could email fatigue give social media the upper hand with marketers? Americans are suffering from “email fatigue.” At least that’s the take away from a new study from marketing service provider Implix, which found that Americans are one of the least likely groups to open emails worldwide. Due to its newness, social media is fast gaining ground with marketers as a way to reach out and build relationships with consumers. But a turn away from email messages could also make social media the go to for marketers trying to reach customers and grow revenue. According to Implix’ new report, which analyzed 1,652,000,000 emails sent between July and December of last year, the average open rate in North America was 10.76%. In Europe, the rate was over 13%. That means more than 40 out of every 100 recipients who opened an email message sent from Europe clicked on a link within it. 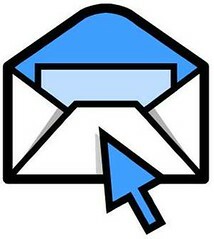 But in North America, less than one out of every three recipients opened marketing emails and clicked on a link. In Asia, one of every four subscribers who clicked on an email link did it twice. In North America, the rate is half that — only one out of eight clicked on a link twice. North America also had the highest bounce rate (2.17%) and the second highest complaint rate (0.12%) among all the continents. “I believe that this is starting to become a large issue, especially in the U.S. Meanwhile, Facebook is planning to release an email product supposedly titled “Project Titan” that has some people very excited about its prospects to topple Gmail. Both email and social media present opportunities to engagement with customers. Whichever platform manages that best in the next few years will see growth, or more likely, the trend to combine both efforts will continue. Content sharing and discovery: is Facebook the new Twitter? classified as a simple ‘social network‘. SMWNY: When will location-based services stop being fads and start getting real? Twitter is over three years old and many people still don’t get it. Just last week, The NewYorker’s George Packer called it “crack for media addicts.” But will real-time oversharing services make it into the mainstream? At The Future of Space and Time talk during Social Media Week in New York on Wednesday, panelists from the tech world noted that conditioning larger audiences to share their real-time info and location will be necessary for such technologies to truly take off. And for advertisers, this could be the key to actually serving those relevant ads everyone’s always talking about. much laying out fairly broad thoughts on the subject.